Foil Vs Rotary Shaver - Which Electric Shaver is Better For You? 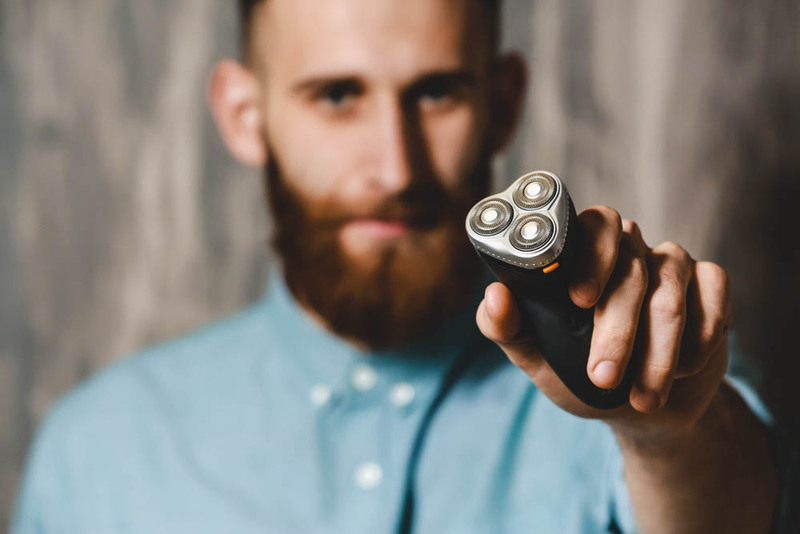 If you have selected electric shaver in shaver vs. razor battle, the next natural question to ask would be whether to go for a foil shaver or a rotary shaver. Those who have used both of the shavers will know how differently they work and what you can achieve with each. However, if you are still confused about which one to go for or which one is best for your needs, we are here to help. Basically, we will go through how both work and advantages and disadvantages of each. In short, the foil shavers give a smoother and gentler shave for people with thin and short hair. However, for people who have dense and unruly hair growth, a foil shaver might not work as well. For these people, rotary shavers are a better choice. On the other hand, the design of rotary shavers was made particularly for long, dense and wild hair. However, with all of its benefits, it has some drawbacks as well. The rotary shavers do not shave as close as foil shaver and they are also not that precise. Moreover, what limits their use for people with sensitive skin is that they cause irritation which leads to an uncomfortable shave. So, this was a short introduction of both shavers. 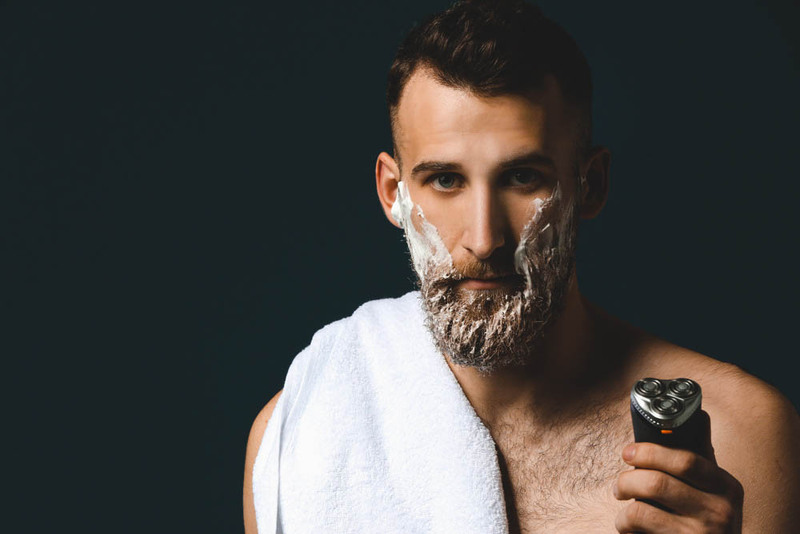 However, to further understand the ins and outs of each shaver and which is best for you, we have to dig a little deep and get to know how they work. Basically, in this modern era of technology, there are products who promise to do a lot and cover all aspects, but in the end, there has to be a compromise of one feature for another. So, let’s get inside and see what each of these shavers has to offer and some of their not-so-strong attributes. Foil shavers were the first electric shavers and came into the market in the early 1930s. This was after Colonel Jacob Schick felt the need to have a shaver which could be used with one hand after he had an injury to his arm. However, it was not an instant hit because of its bulky design and limited functionality. Over the decades, foil shavers have been through various design modifications to the ones we know today which are convenient and easy to use. There are many different designs and uses for foil shavers, however, if asked to cut its use in one sentence I would say it is best for the lining of edges and sensitive skin. Essentially, these shavers are named “foil” because their blades are covered with thin foils. These foils are basically thin sheets of metal with tiny holes in them. When in action, these tiny holes allow the hair to enter the shaver. Moreover, at the back of these foils, there is a set of oscillating blades. So, in short, the design of foil shaver includes just a set of oscillating blades attached with motor and foils with tiny holes in it. In addition to above, the hairs from these tiny holes enter into the shaver and come in contact with oscillating blades. The blades are basically continuously moving back and forth and as the hair enters it gets cut. The blades are sometimes also known as “cutter”. Essentially, these blades are attached with a motor which produces the oscillation. Basically, the blades oscillate like a lawn mower’s blade. Therefore, the preferred shaving technique is to use foil shaver in a straight line. However, they work as well when you move them up and down or from side to side. Most people prefer foil shavers because they are good at giving a close shave. The reason behind this essentially lies in the design of foils. Basically, the foils allow the hair of all length to enter in the shaver because of their ability to pull the skin taut nicely. Essentially, foil shavers are best for thin and short hairs. The foils shavers are good for sensitive skin. This is because they are gentle on it and do not pull the skin during shave thanks to the foils. Basically, hairs are pulled by the foil through holes and blades cut them without pulling the skin. This is why the foil shavers are kinder on the skin. The foil shavers shave are really fast because they move quickly from one side of the face to another. Moreover, you don’t have to go over the same spot again and again. This is because of its oscillating blades. The rotary shavers, in contrast, require time to move across the face which is why it is not possible to get fast shave with them. The setting of the foils enables these shavers to provide precise shave. Heads move from left to right or from top to bottom which allows you to shave the areas which are not possible with rotary shavers. This makes foil shavers best for the edging and lining of sideburns and for the area over the upper lip. As said earlier, these shavers get the thinner and shorter hair and this makes them best for daily shaving. Therefore, men who shave every day will definitely like this shaver because it provides clean, smooth and kind shave on a daily basis. The foil shavers generally have a trimmer and combs with them. These combs guide the hair and give a better shave as the hair is lifted and then cut. Everything has its pros and cons and same is the case with foil shaver. Essentially, the foils impart some seriously good features to a foil shaver but at the same time limits its use. Let’s have a look at drawbacks of a foil shaver. Not everyone likes the technique that is required to shave with foil shavers. Basically, the shavers can be only be used in a straight line and there is no variation of motion. This, in turn, restricts its use for the people who like a circular motion. Basically, the head of the foil shaver doesn’t move like the rotary shaver which limits the pivoting. Moreover, the foils also just move slightly and that too in one direction only which further complicates this problem. As a result, the limited pivoting restrict its use on the contour of skin, which is not something everyone like. The sound of blades and the interior motor is too loud compared to other shavers. This, in turn, makes it annoying for the person using it and for the people around him. In comparison, rotary shavers are a lot quieter than foil shavers. There has been an exponential increase in foil shaver sales in the last couple of decades and a lot of companies have put their shavers up for sale. It becomes a daunting task to go around marketing trickery which plays with your psychology and pick the “one”. To help with this, here are our picks for 5 of the best foil shavers market has to offer. Prof. Alexandre Horowitz, from Philips Laboratories, invented the concept of the revolving (rotary) electric shaver. Most of the rotary shavers are cordless and have a quieter working mechanism as compared to foil shavers. Basically, a shaver with multiple, independent and round shaving heads is rotary shavers. In essence, the name “rotary” is because of the movement of head which is rotatory like a ceiling fan. There are lining through which the hair comes in and behind them, there are sharp blades attached with motors. Overall, the design includes three shaving units, motors, lining, and sharp blades. Essentially, the lining allows the hair to enter into shaver. The hair then comes in contact with sharp moving blades and that cut the hair. In essence, the cuts are as close to the skin as possible. Generally, the rotary shavers because of their head can be used on the contours of faces including the neck area, chin, and jawline. The circular motion of the head makes this possible. This is what a foil shaver lacks. The mechanism of the rotary shavers makes them work very well on dense and thick hair. The three rotating shaving units with sharp blades in them make them able to get the denser and thicker hair which is not possible with foils shaver. Hairs in some parts of the body grow into several directions, especially on the neck. The rotary shavers shave these hairs with ease because there are three shaving units and each one of them has sharp blades. The hair growing in multiple directions would stand no chance in front of these blades. The rotary shavers are best for the people who shave just once in a week. Basically, electrical shavers are designed for two to three days of hair growth. Using them on week-long hair would pull the skin and yank the hair. However, this is not the case with rotary shavers as they can be used over a week-long growth and they will shave much better than foil shavers. You would love rotary for the fact that they are very much quieter than foil shavers. This is probably because there are three motors but the motors are not big enough and also there is no vibration to produce noise. This makes the shave comfortable and pleasant and in addition, it won’t wake the person sleeping next to you. The rotary shavers are not smooth on the skin as the foil shavers are. This is because they exert a pull on hair and thus irritation and discomfort find their ways. However, this can be avoided by using proper technique which might take some time to learn. The rotary shavers shave in a circular pattern which is why they lack the precision of foil shavers. Therefore, the lining of the beard and edges of the beard are almost impossible to get with these shavers. The foil shavers are best for these purposes. The foils shavers have foil which taut the skin nicely and allow the short hair to enter. Unfortunately, this is not the case with rotary shavers because of the absence of foils. This is why the rotary shavers do not provide as close shave as foil shavers. Philips basically invented the rotary shavers and till this day they are best rotary shavers in the market. Here are our recommended rotary shavers. Above, we had a look at how both shavers, foil, and rotary, work with their advantages and drawbacks. Now, let’s talk about what are the features which make them different from each other. The first noticeable difference that anybody can spot is the design of both shavers. Basically, the foil shaver has three to four blades but doesn’t have as much movement as rotary shavers. However, in contrary, the rotary shaver has three independently moving circular heads. The head works best on the contours of faces and stays near to the skin. Besides the design, the working mechanism of both shavers differs a lot. The foil shaver has a system that involves metal with holes in it. The metals pull the hair towards oscillating blades. Additionally, a trimmer is also involved sometimes and it guides and lifts the hair for cutting. The blades move like lawn mowers blade. In comparison, the system of the rotary shaver is different in the sense that it consists of three rotary heads. These head usually are shaped in a triangle. There are 8-10 independent directions the heads move in and the entire head moves as well. Behind these moving heads, the cutters are spinning and remove the hair that got captured in the linings and slot of the head. It may seem that the rotary shavers are faster because of the three moving head, but this is not true. Generally, foil shavers are often faster. This is because of the vibration and speed of the cutter. It is said that it can vibrate 14,000 cycles per minute of working. This is why one doesn’t have to go over the same spot again and again, unlike rotary shaver. The rotary shavers have blades within wheels. These wheels, in essence, spin under the shaving head and cut the hair that is entered into the shaver. The foil shavers, on the other hand, have blades right behind the foils and the blades oscillate back and forth and cut the hair that enters the shaver. Basically, the foil shavers have sonic technology which detects the density of your hair and adapt its power requirement needed for the shaving operation. The rotary shavers in comparison have a technology for wet and dry shaves which allows the shavers to be dipped in for cleaning and for the use with foam and shaving gel. We have outlined the major difference, advantages, and drawbacks that both of the shavers have to offer. In the end, what you need is to get your priorities right regarding the product. In essence, the foil shaver provides a clean and smooth shave. Moreover, it is also kinder on the skin and is best for the lining of the edges. However, the problem with this shaver is that it can’t shave well dense and long hair. In addition, it also generates too much noise. If you are fine with the noise and do not have thick, dense hair this shaver will work in your favor. The rotary shaver, on the contrary, is able to cut the dense, long and wild hair. It is also a lot quieter and works well on contours on the face like chin and jawline. However, the problem with this shaver is that it produces irritation and doesn’t provide as close shave as a foil shaver. In the end, it all comes down to your shaving frequency and the type of hair/skin you have. Before going to make a decision, I would recommend you to understand your skin and hair type and then go for the shaver which suits you the most. This was all from our side. If you have any question, do post and we would love to respond. Happy grooming.